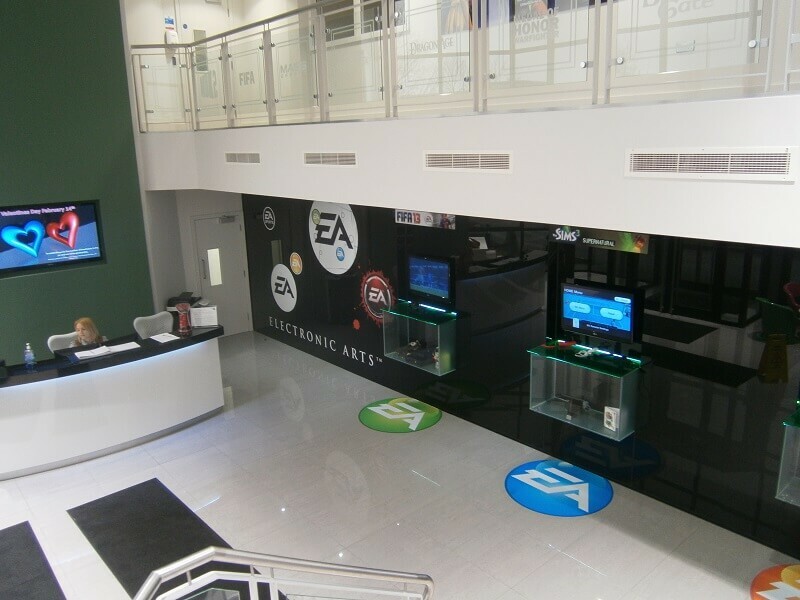 EA Sports is a brand of Electronic Arts that creates and develops sports video games. 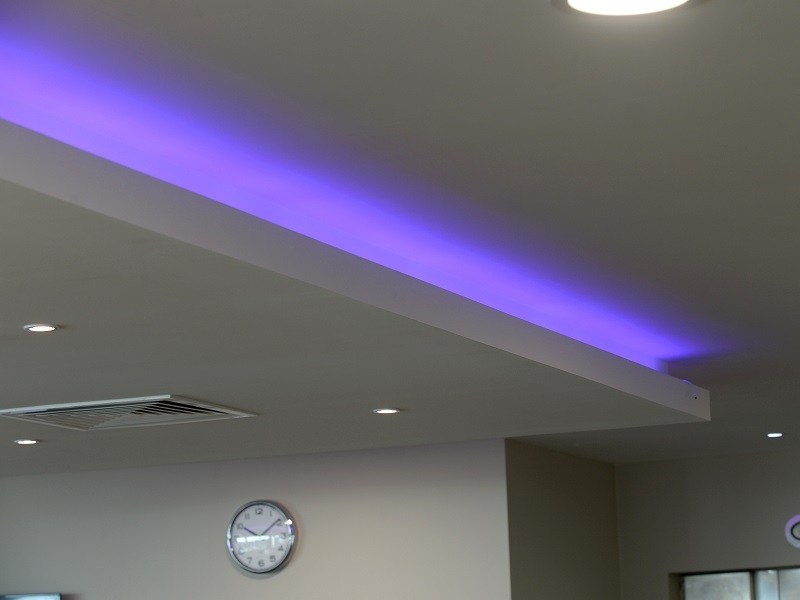 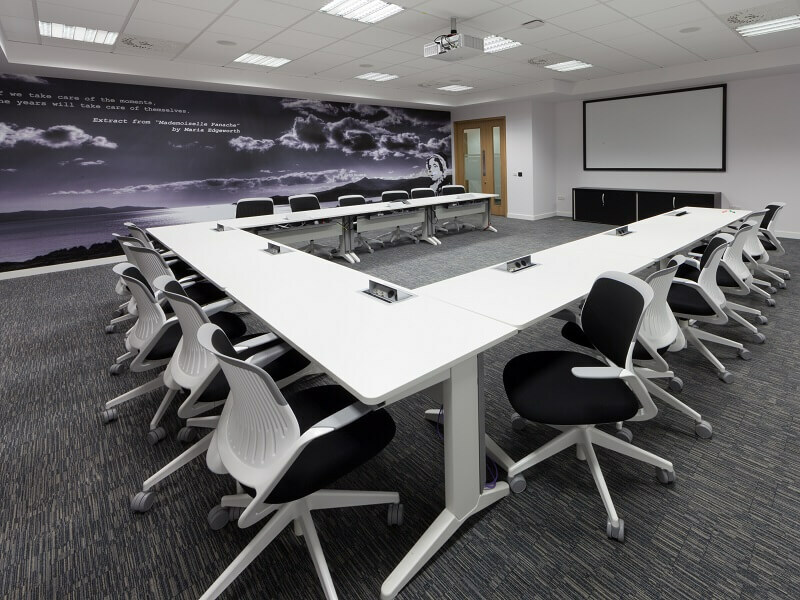 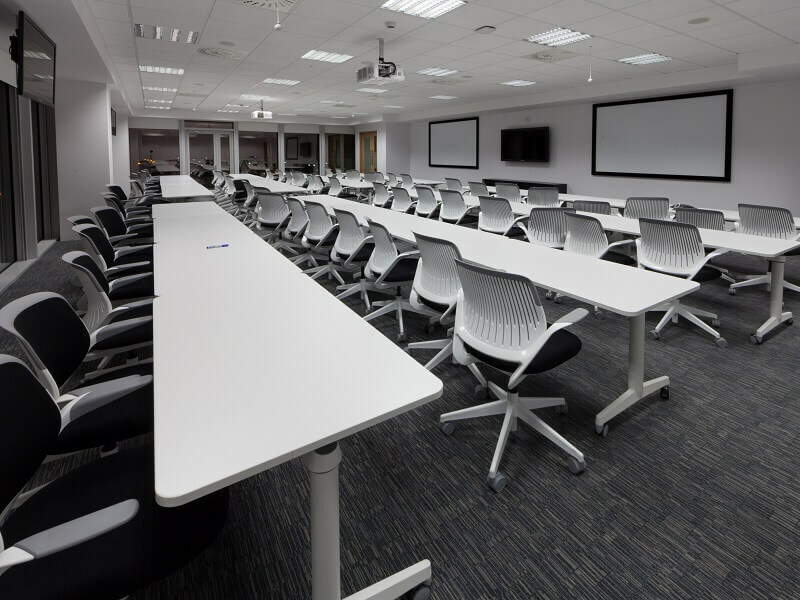 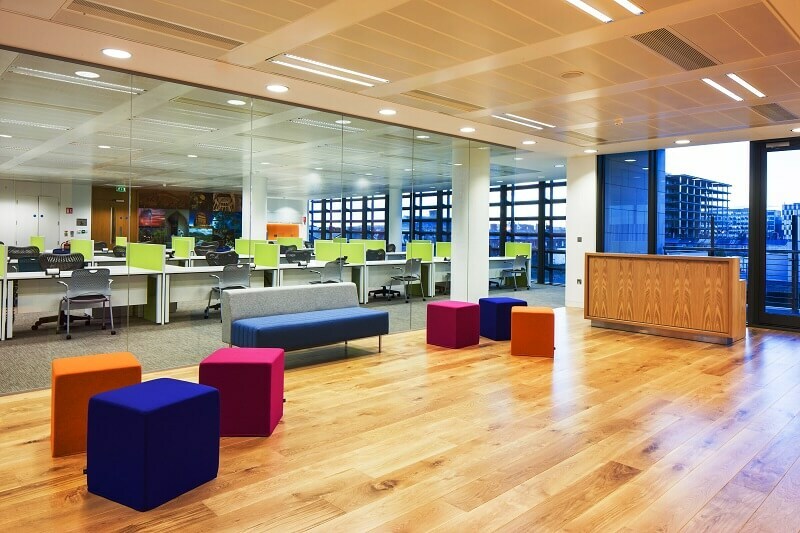 All aspects of this large full fit-out were undertaken by Roccul and were delivered within time frame and budget. 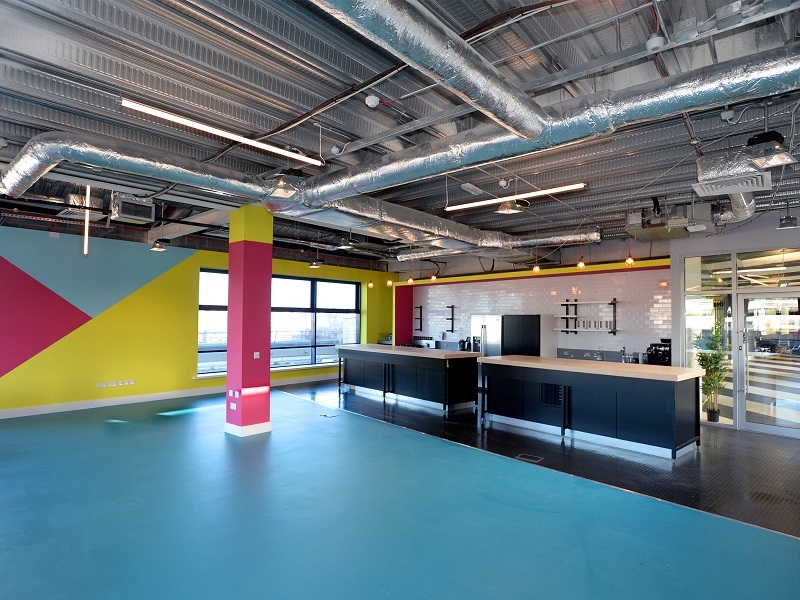 Huckletree is one of London’s fastest growing co-working communities. 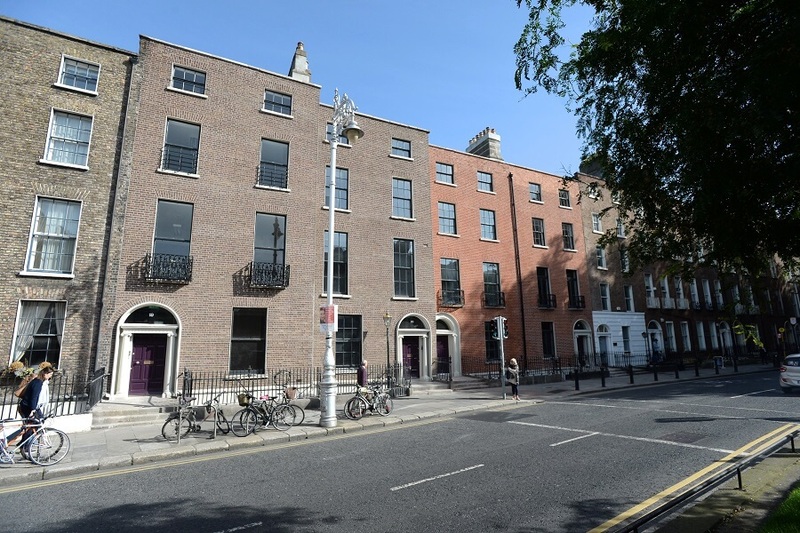 This was a full strip out and re-fit over 5 floors on their new premesis on Pearse Street, Dublin 2. 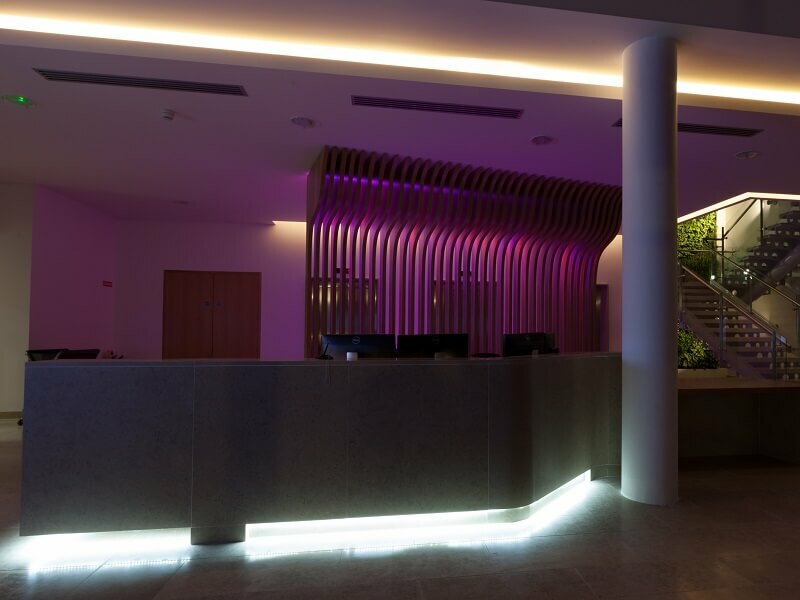 A design driven project with a high quality of finish. 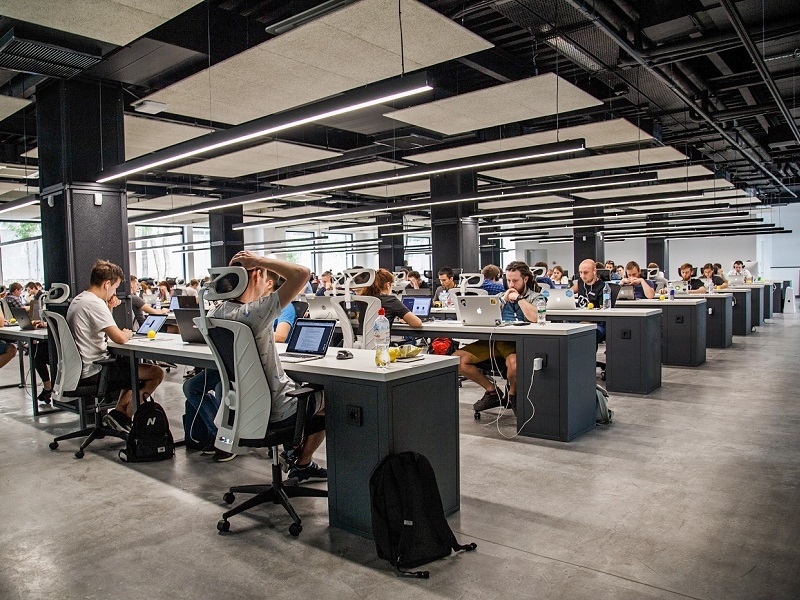 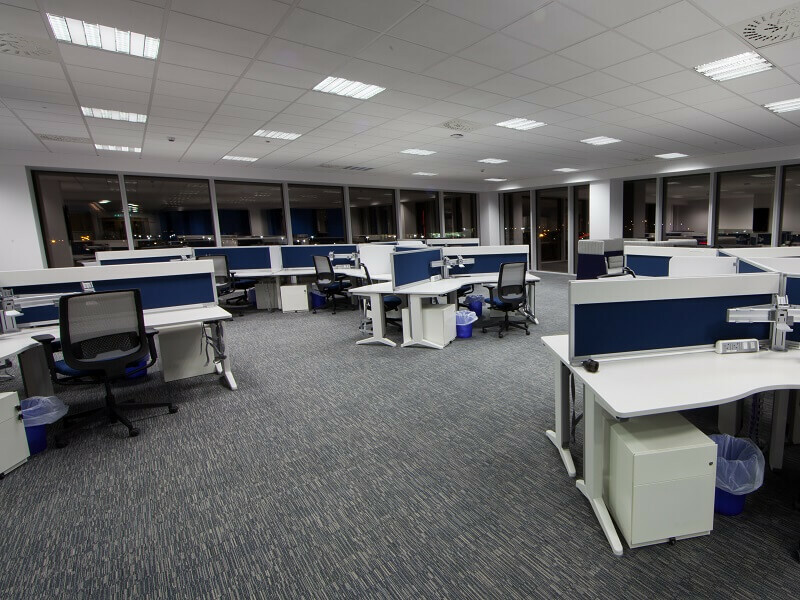 Full 30k square foot fit out of a shell and core building. 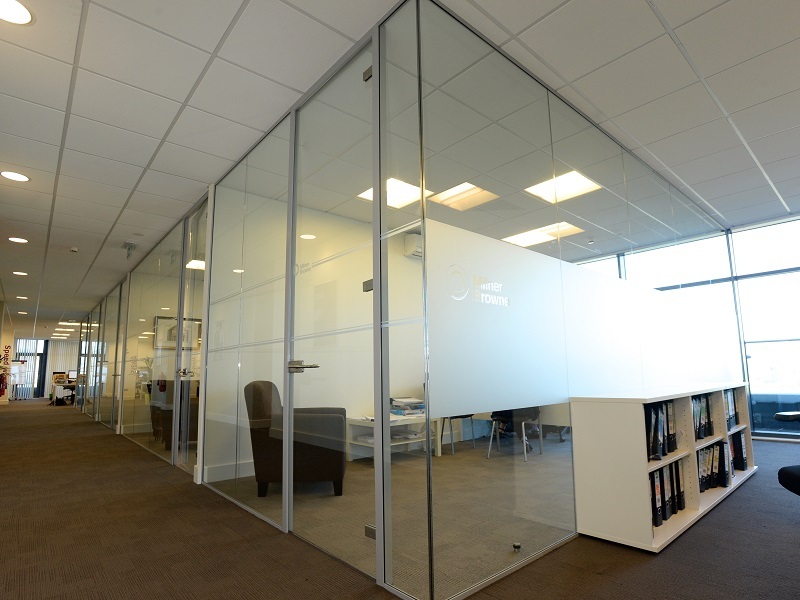 All aspects of mechanical and electrical partitions and finishes undertaken by Roccul. 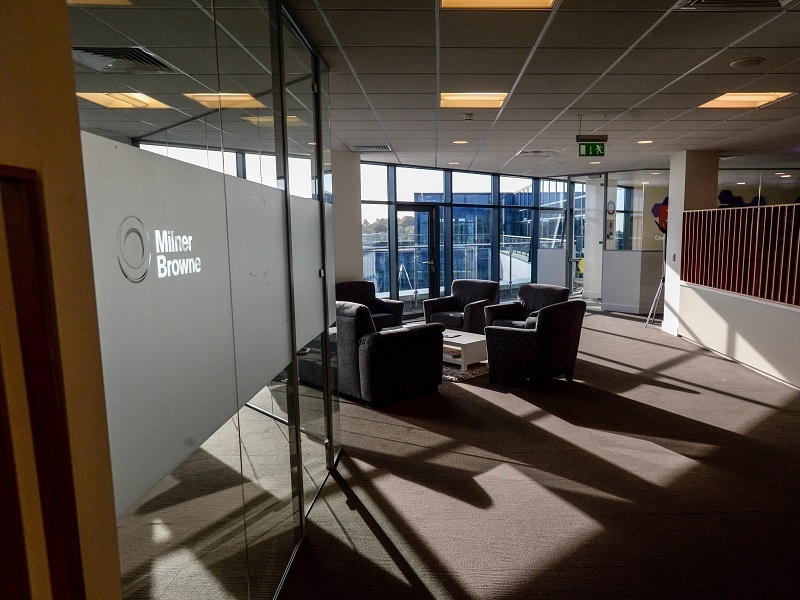 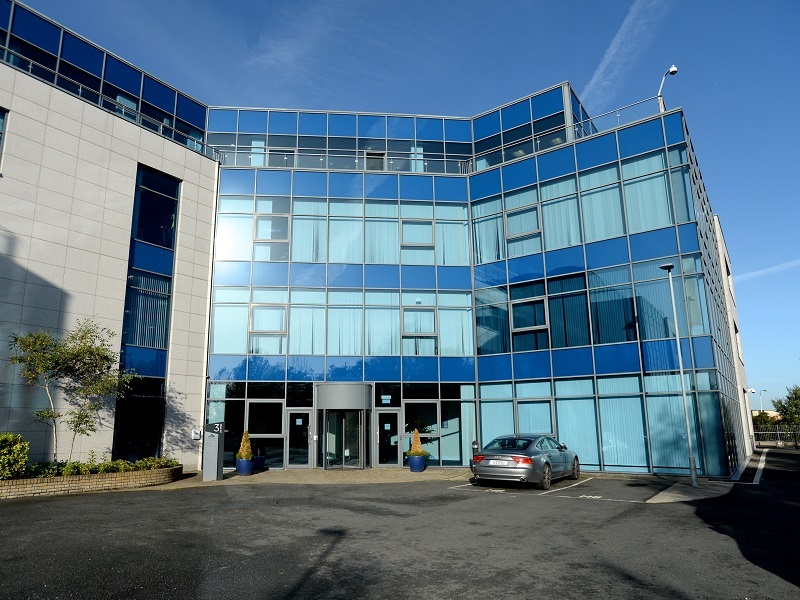 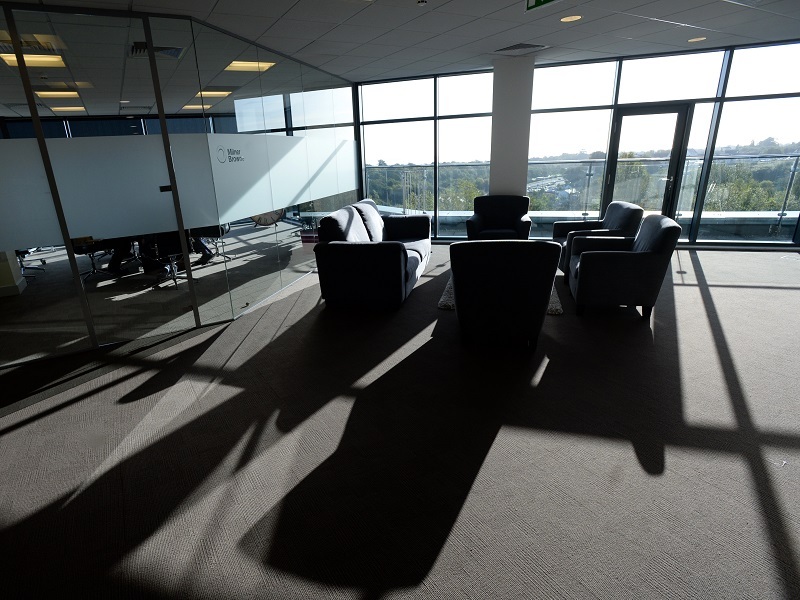 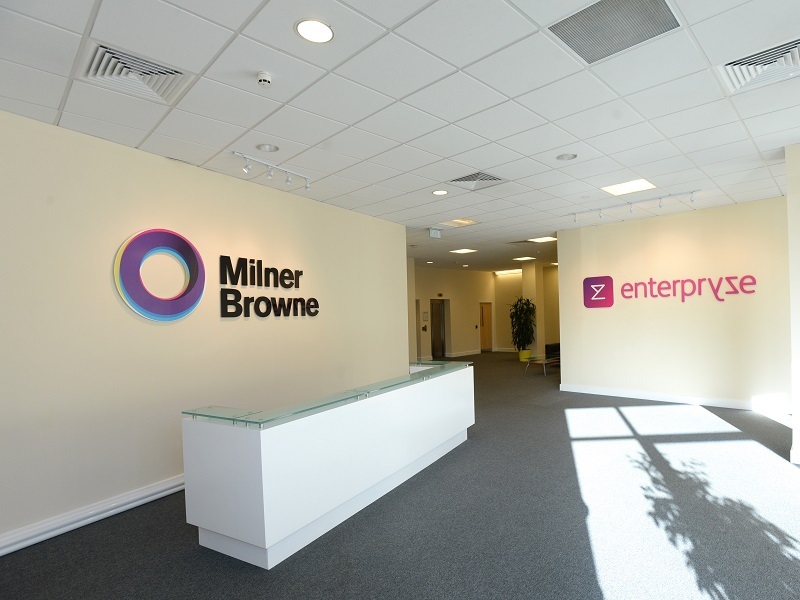 Milner Browne was one open plan 12k floor plate in Cherrywood, Dublin. 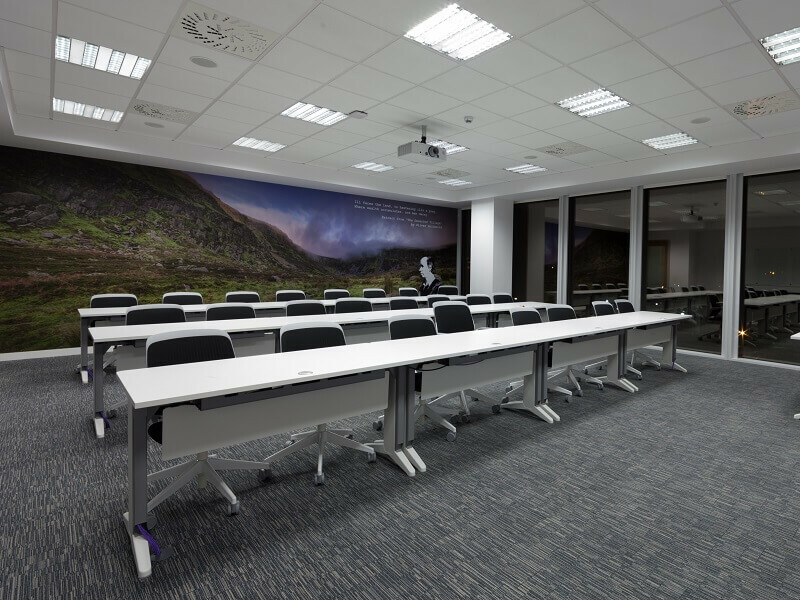 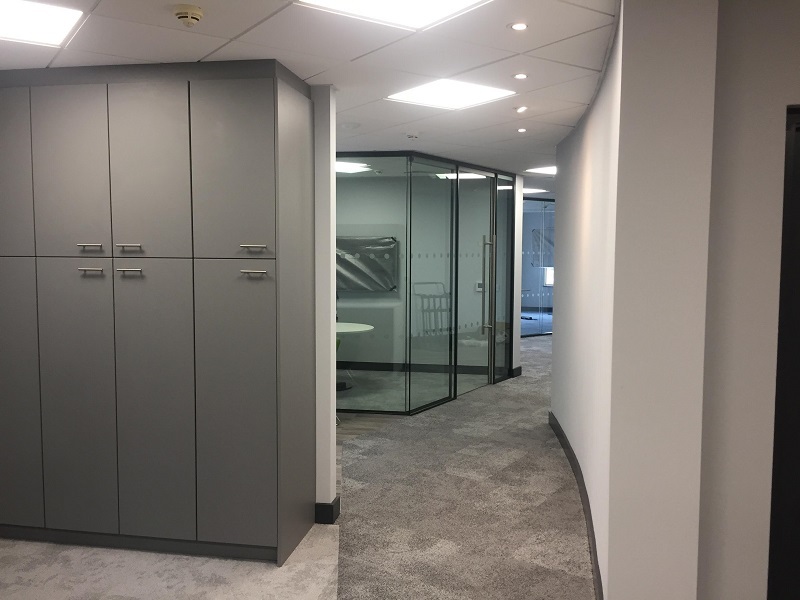 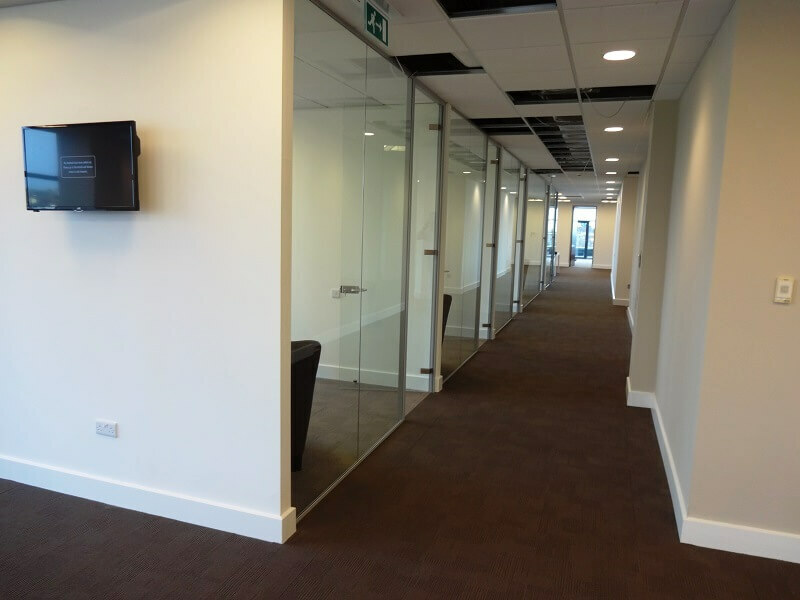 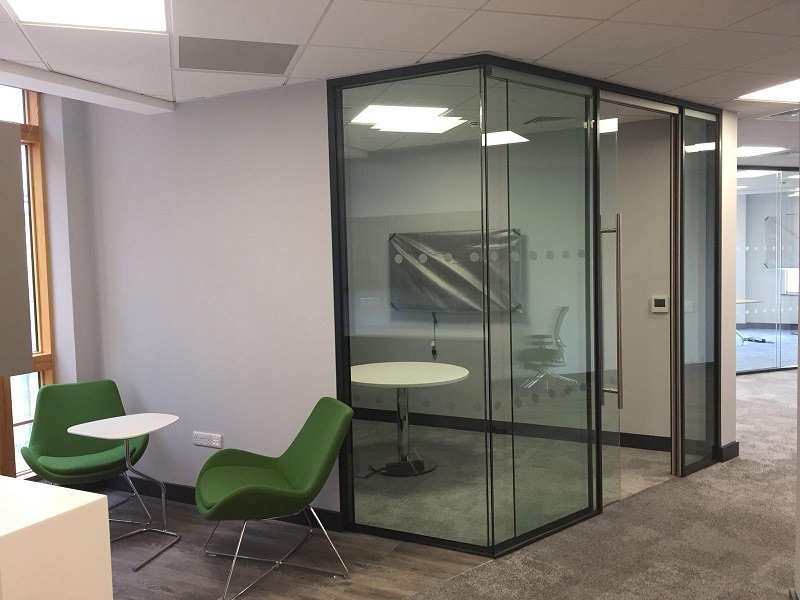 All partitions, M&E and finishes were undertaken by Roccul to deliver a well designed office space accommodating over 100 workers. 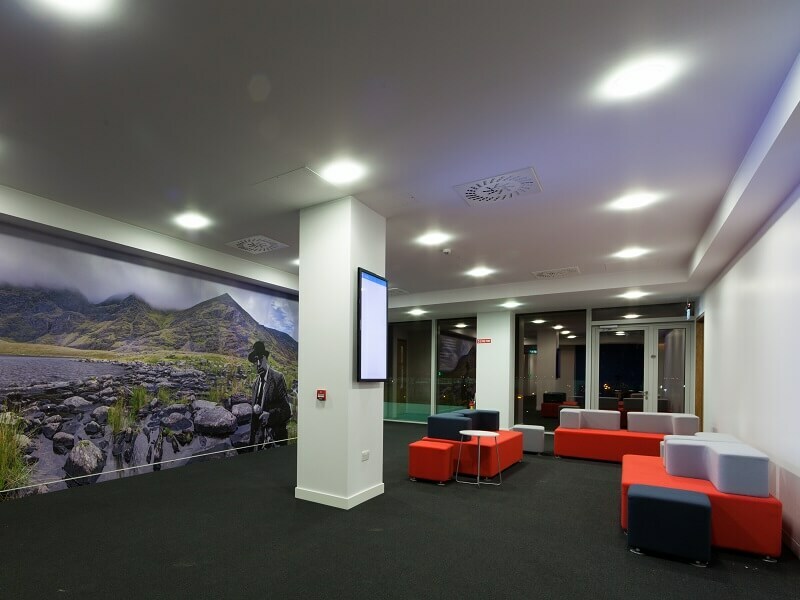 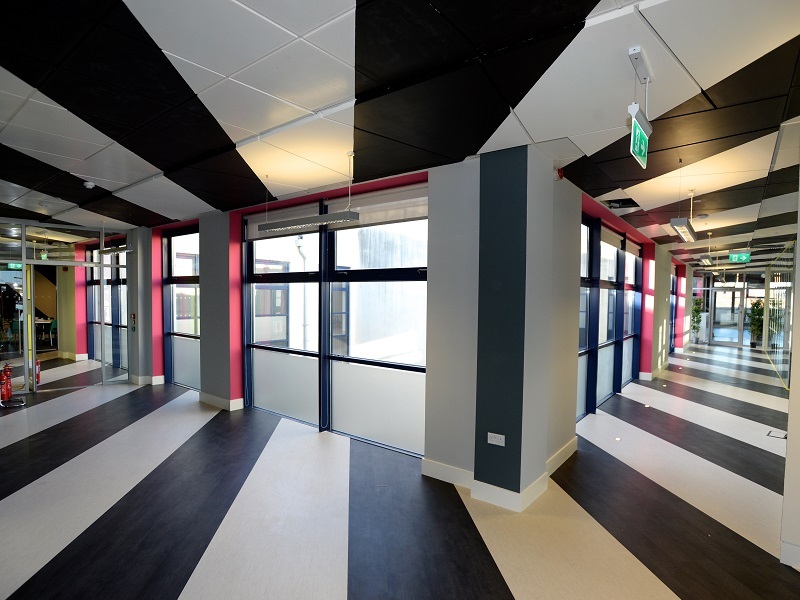 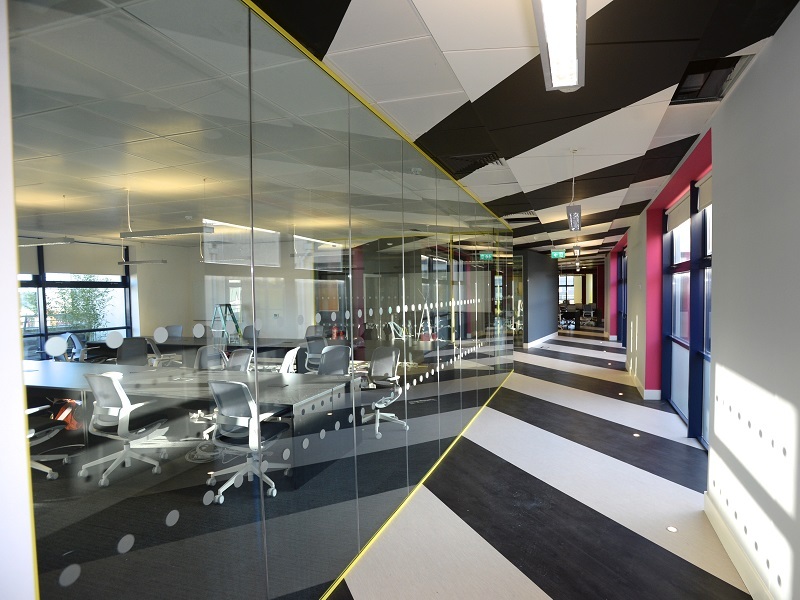 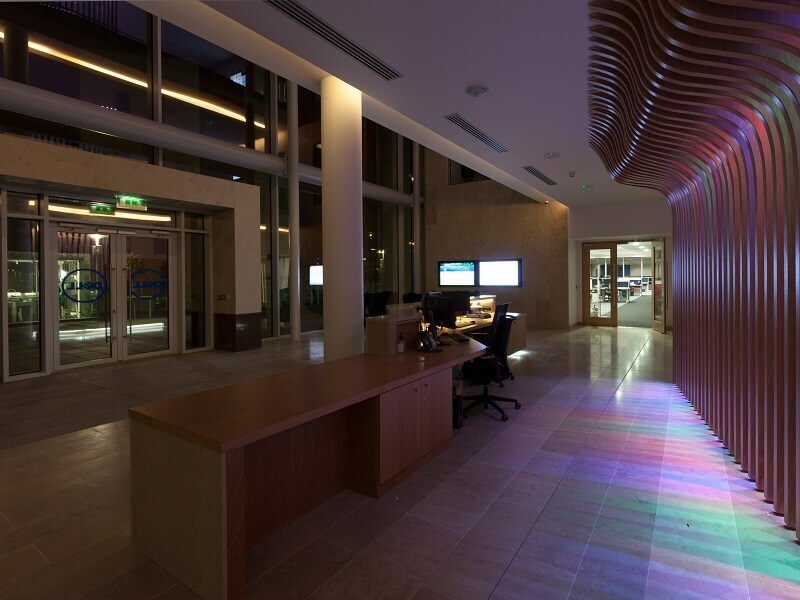 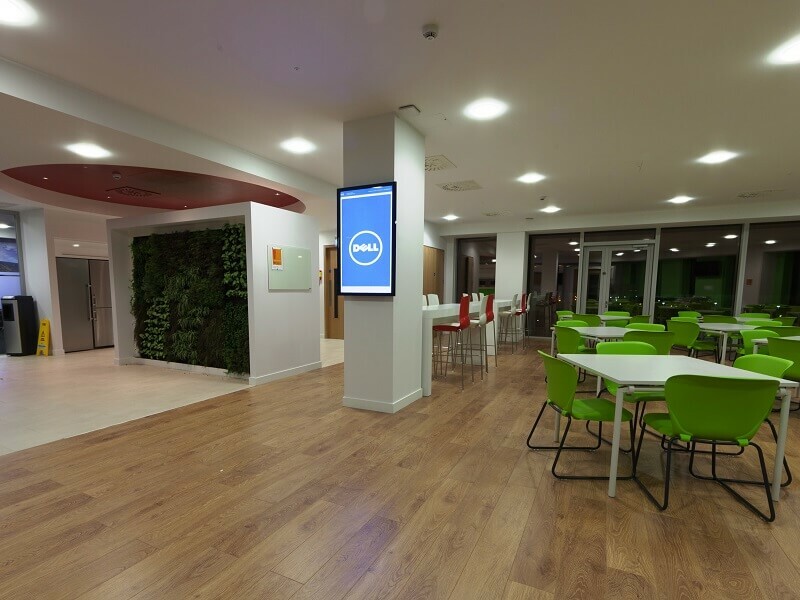 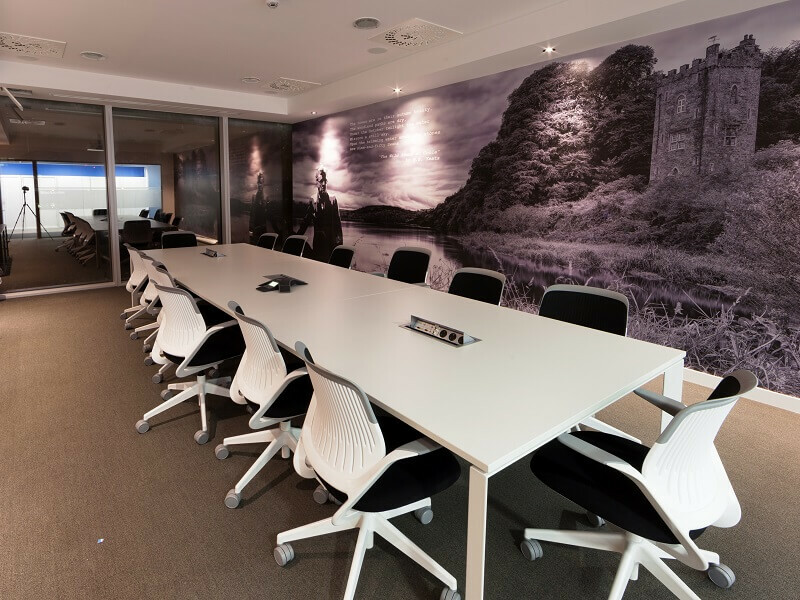 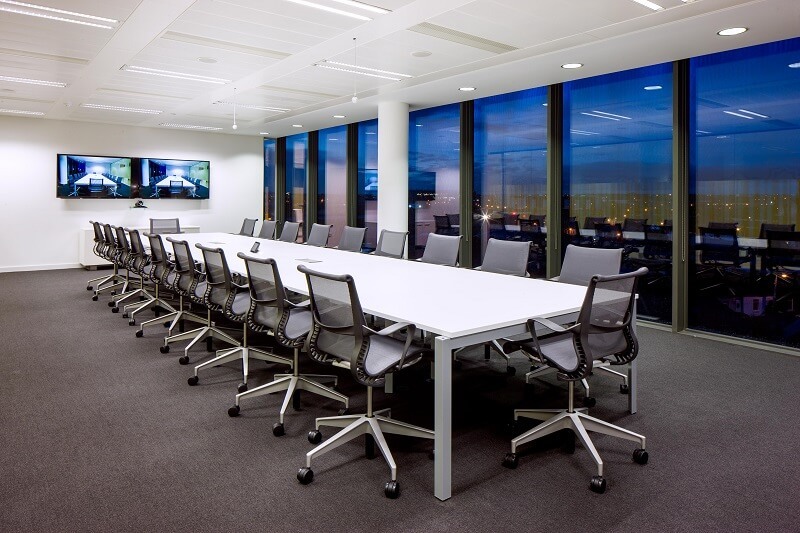 BASF engaged us to provide a turnkey fit out on City Quay within a tight 6 week programme. 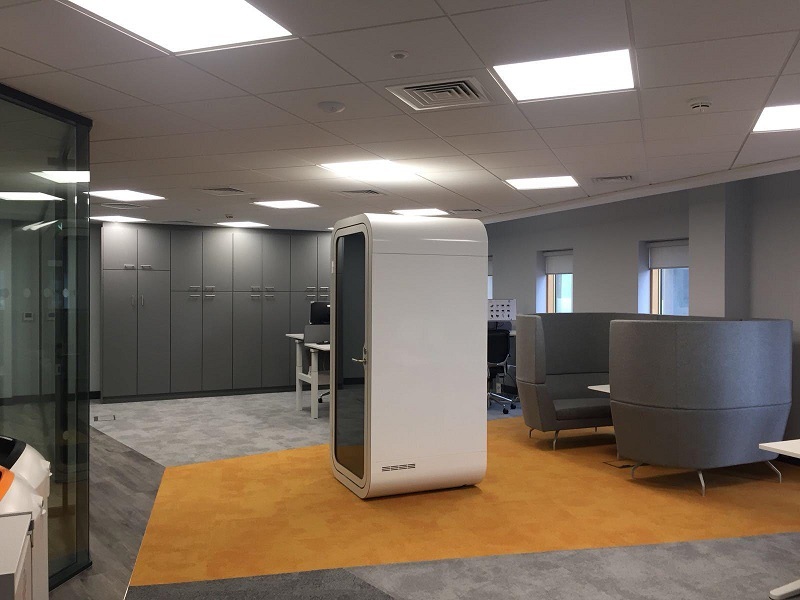 Through early procurement and excellent on site management we managed to deliver it 1 week early. 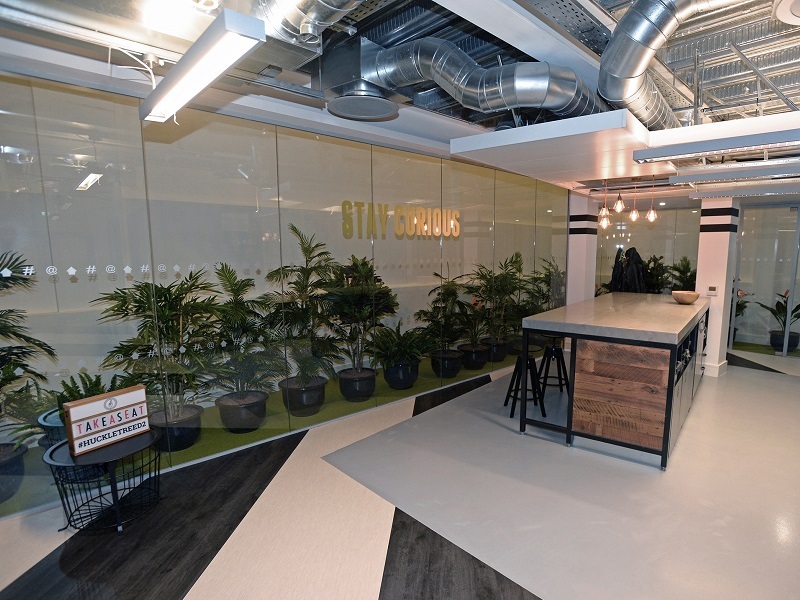 All partitions, joinery, flooring and decoration were undertaken by Roccul with the direction of the design team in CBRE. 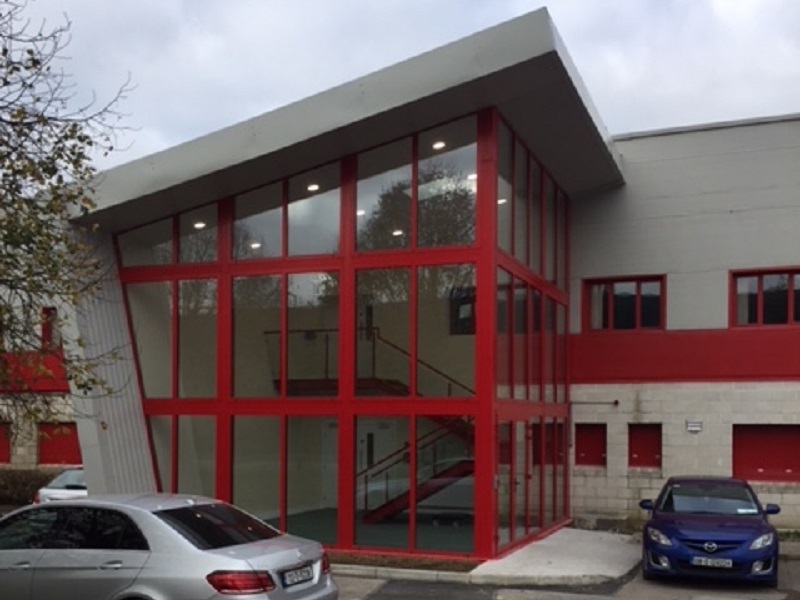 It was Design & Build on the M&E. 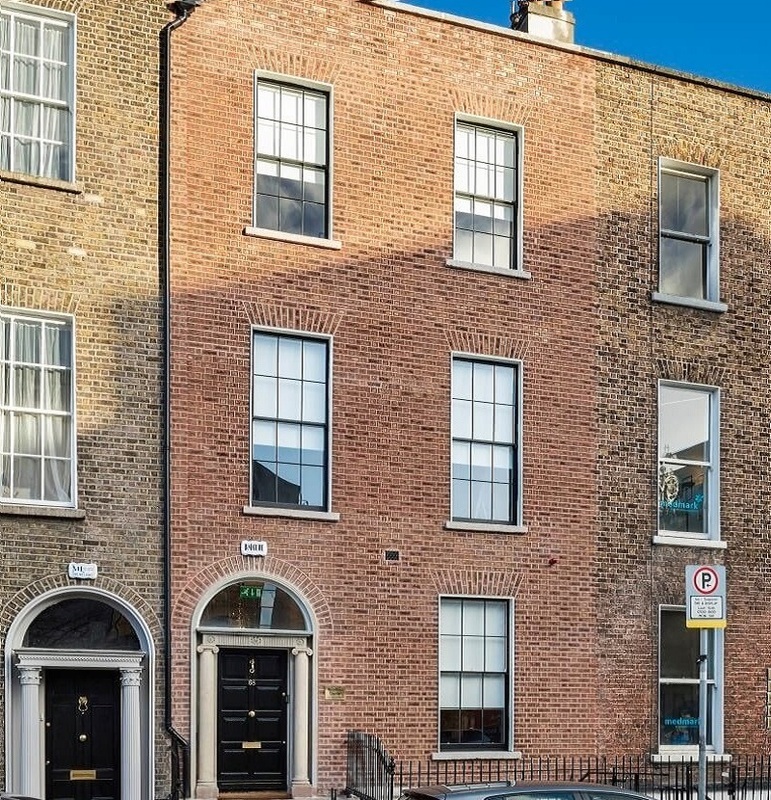 19-22 Baggot Street was a conversion of 4 inter-connected Georgian buildings from hotel to serviced offices. 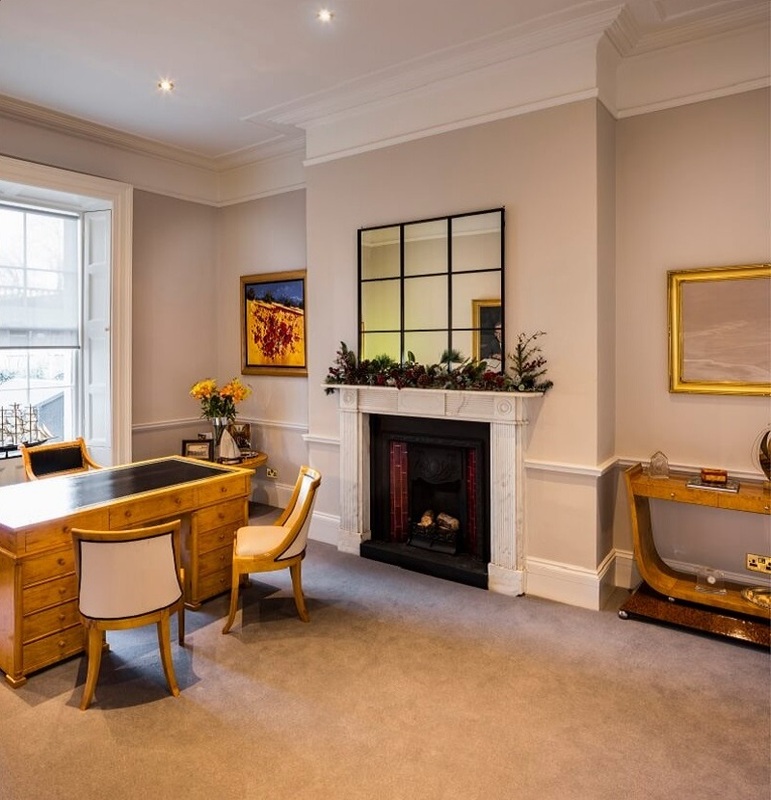 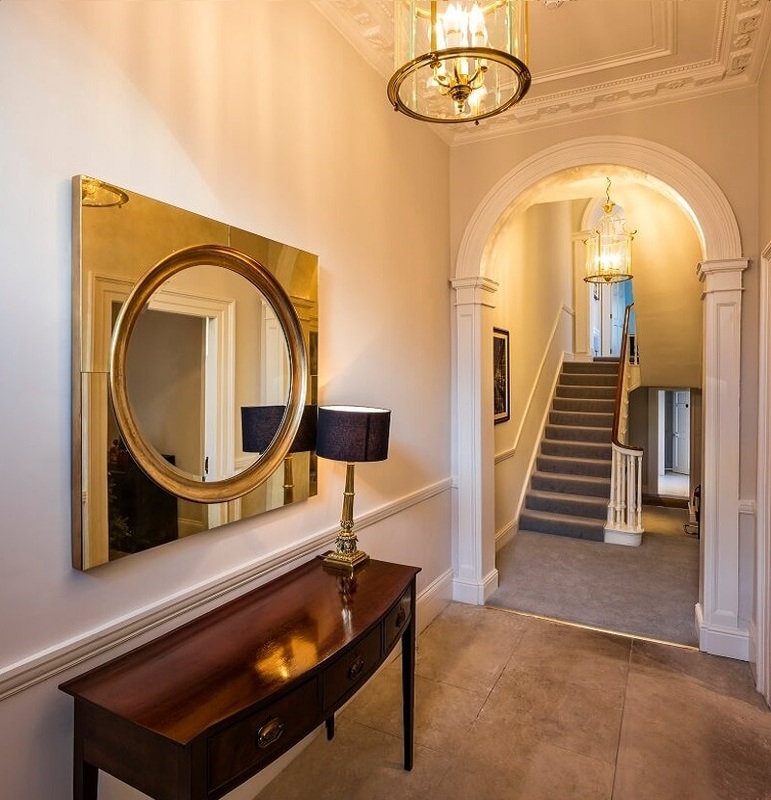 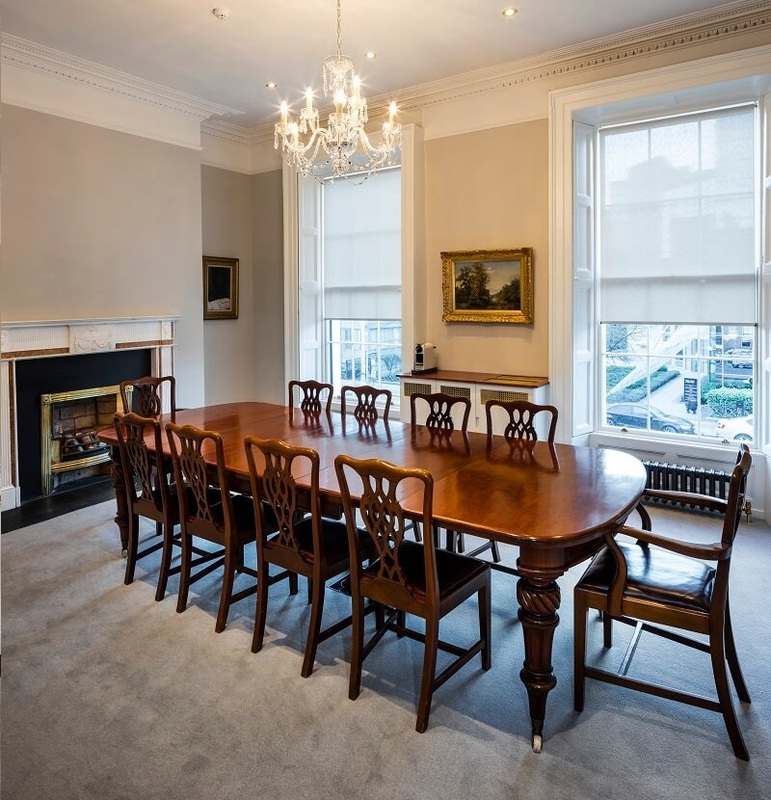 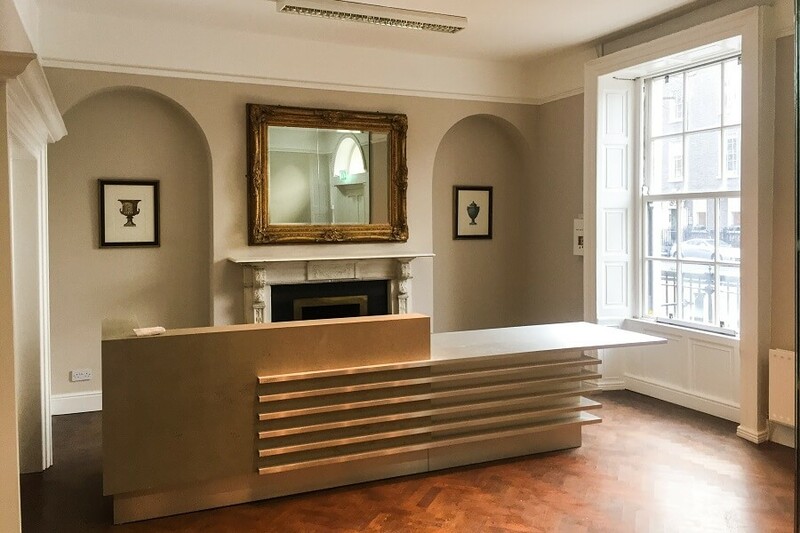 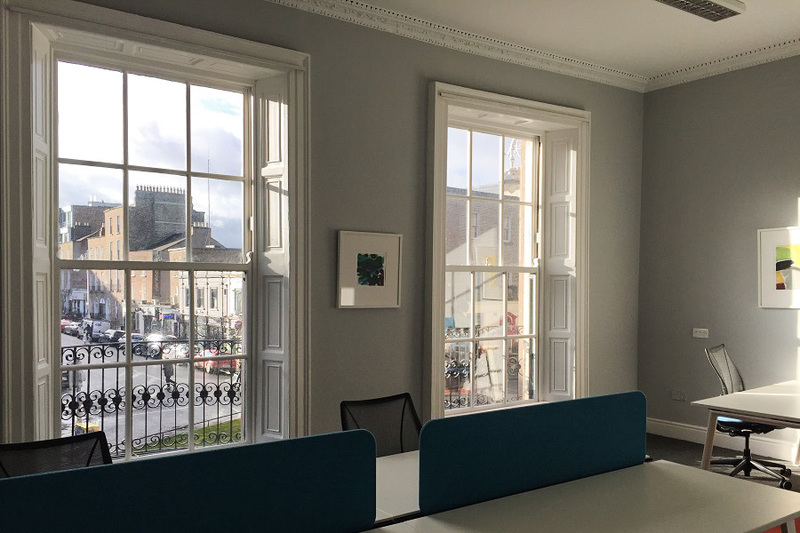 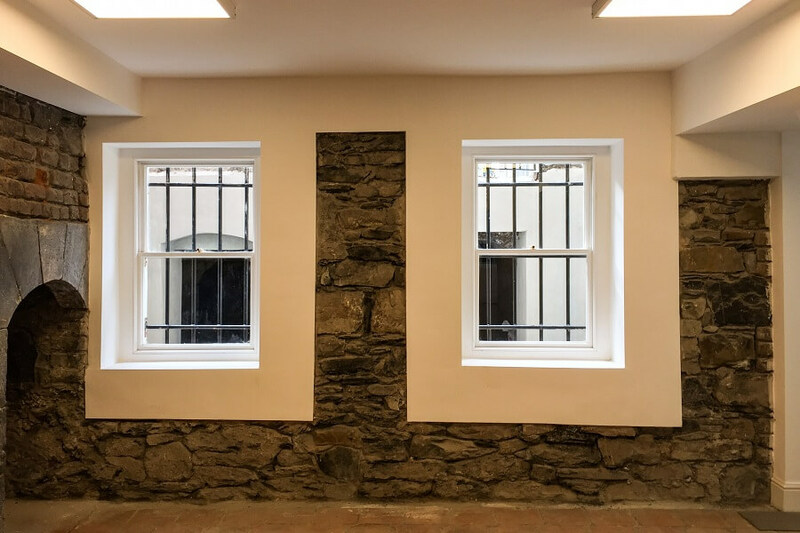 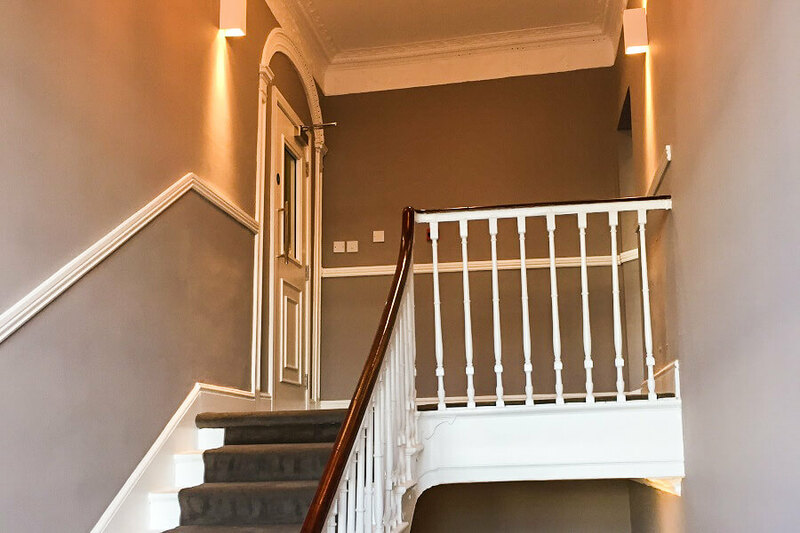 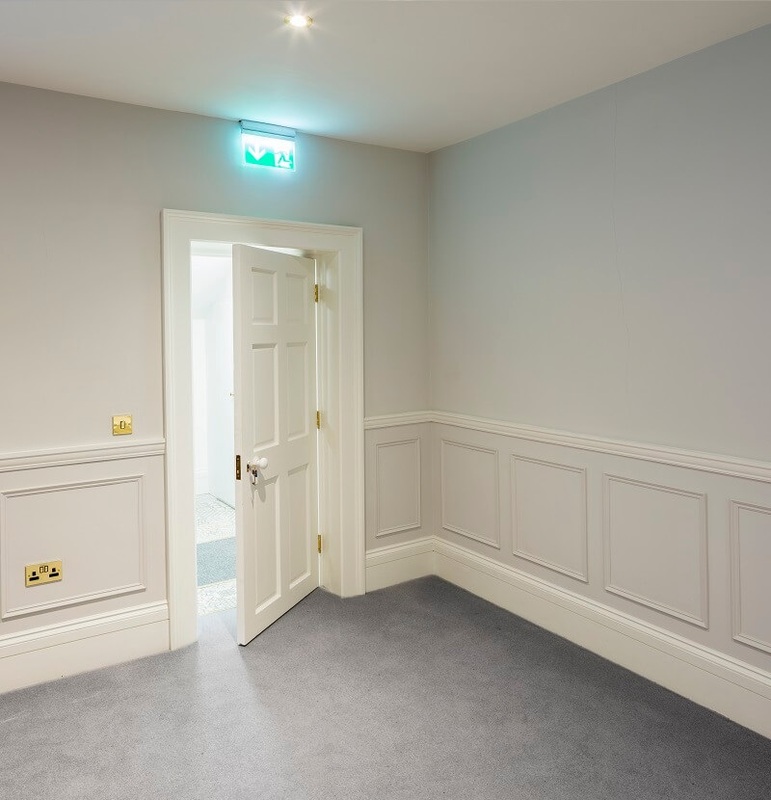 Period building fit-outs require a specialised skill set to conserve and protect Ireland’s architectural heritage and decorative arts. 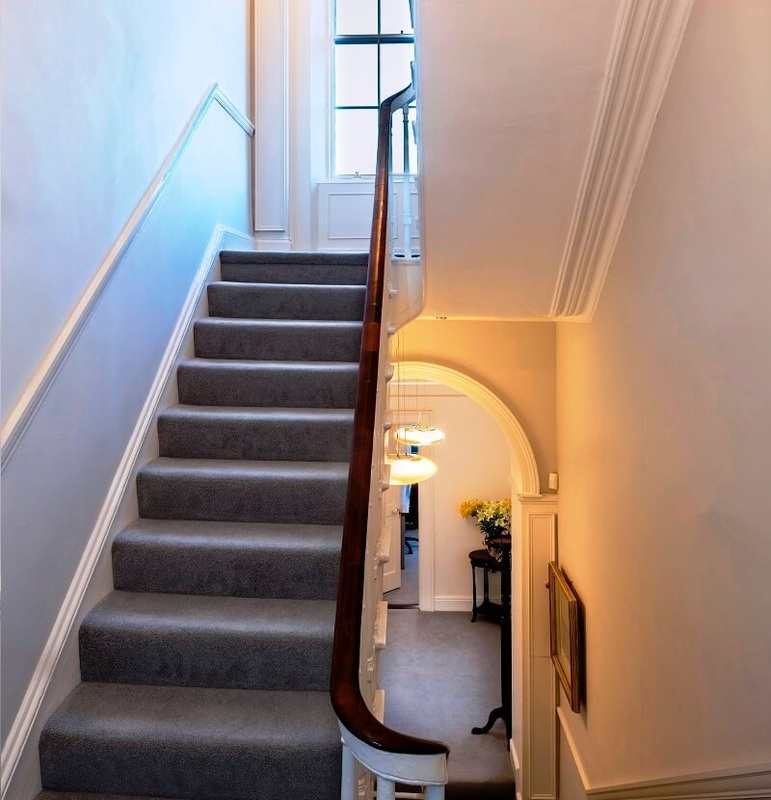 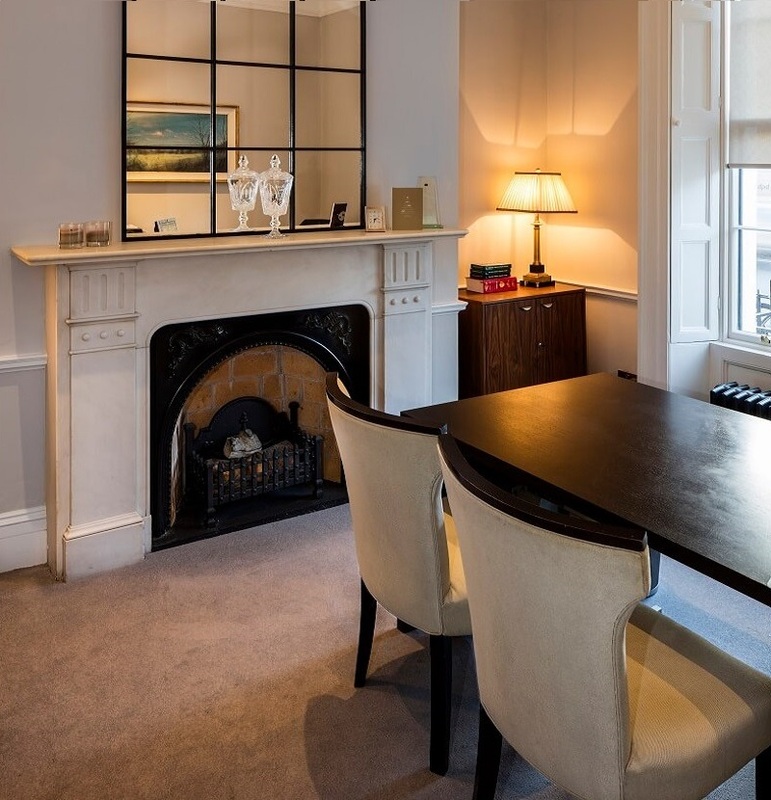 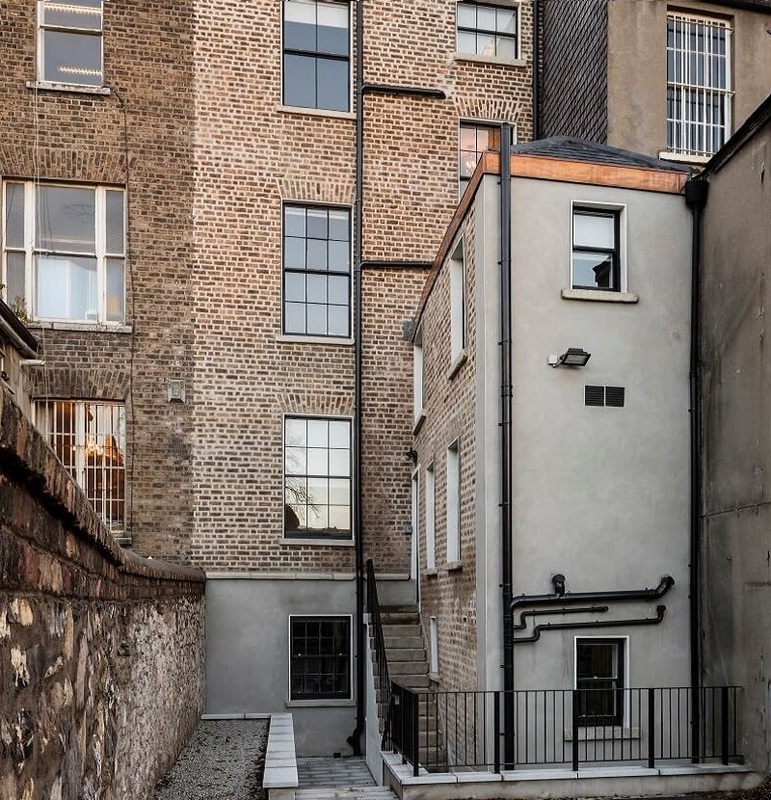 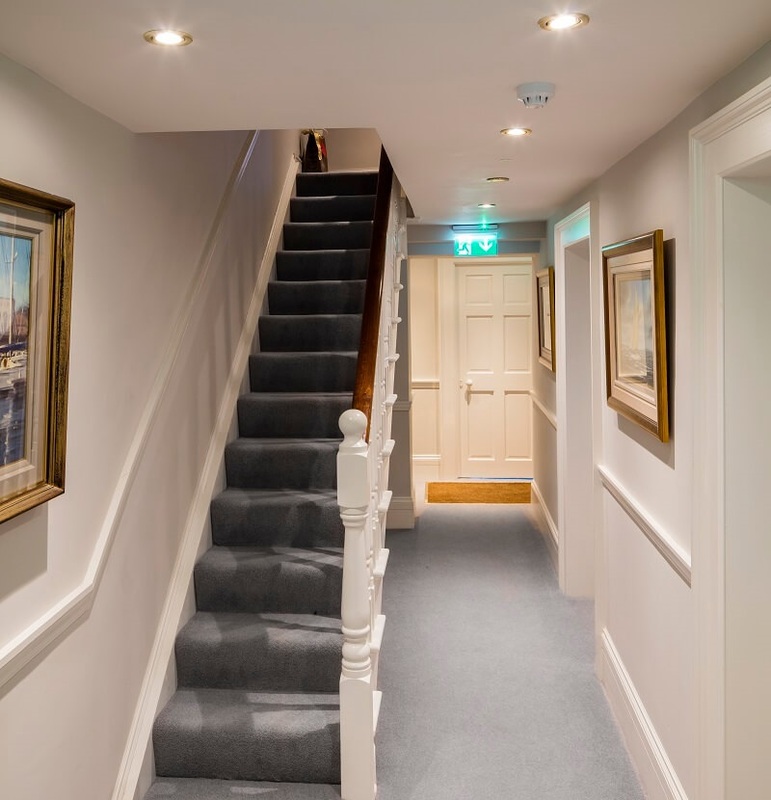 68 Baggot Street included the upgrading of all M&E and demolition and rebuild of 2 storey annex to rear. 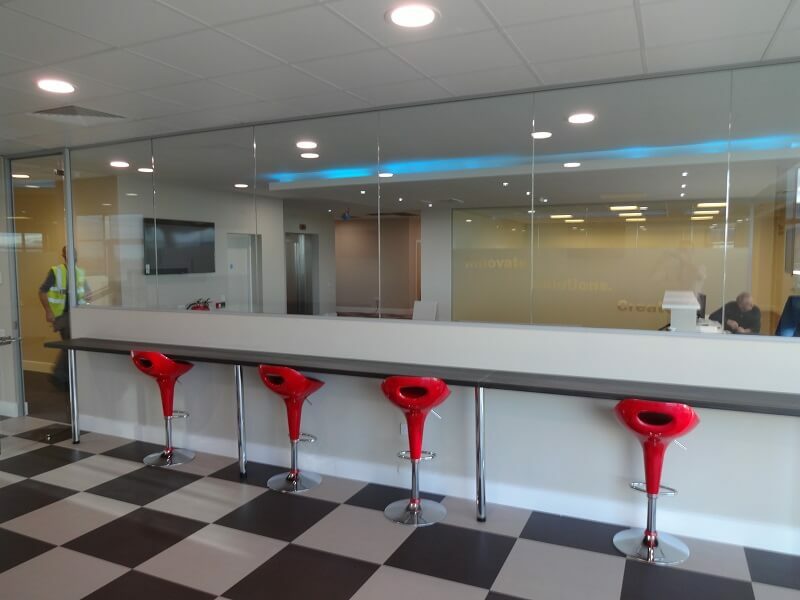 New floor and wall finishes and redecorate internally. 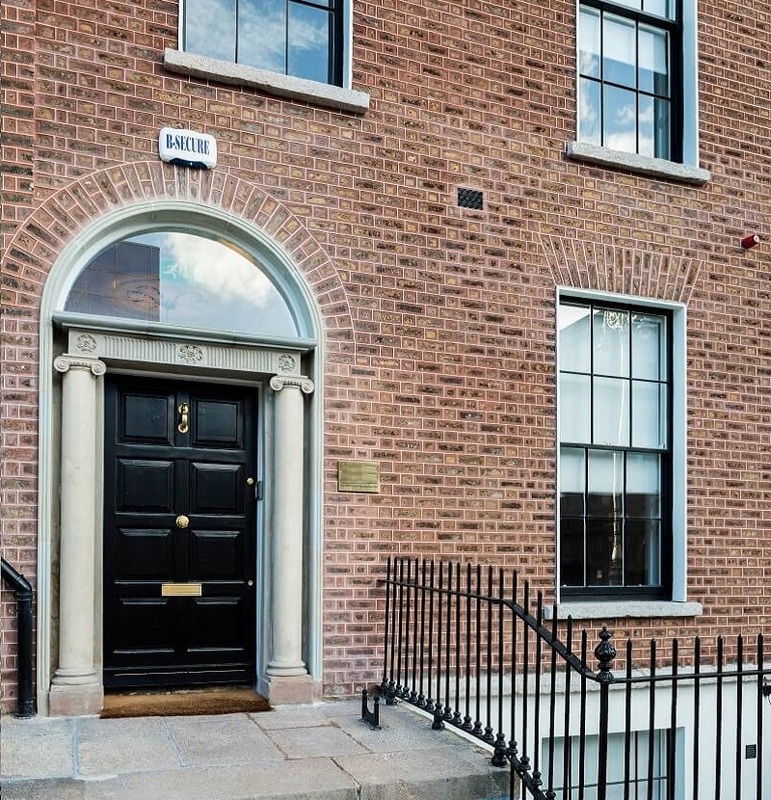 Repointing to front facade and extensive upgrades to decorative stone surround to front door. 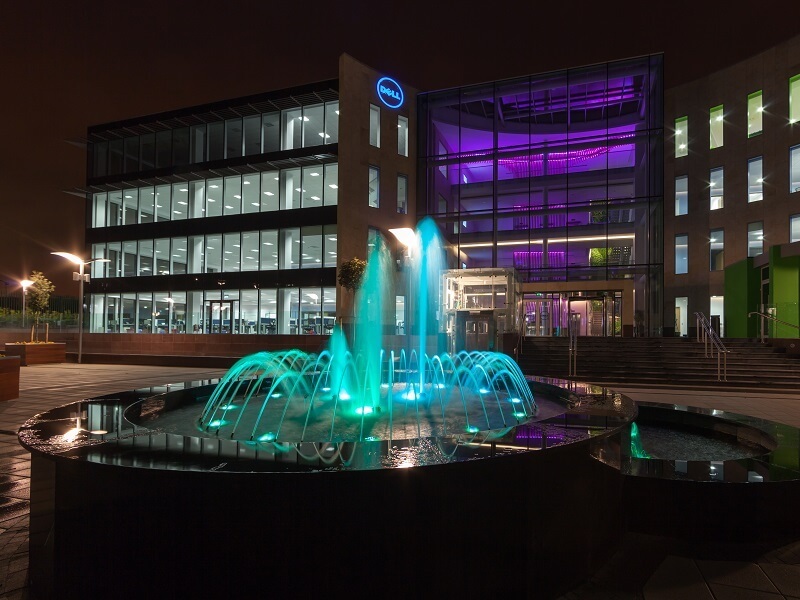 Dell Quest is an award-winning IT management software provider. 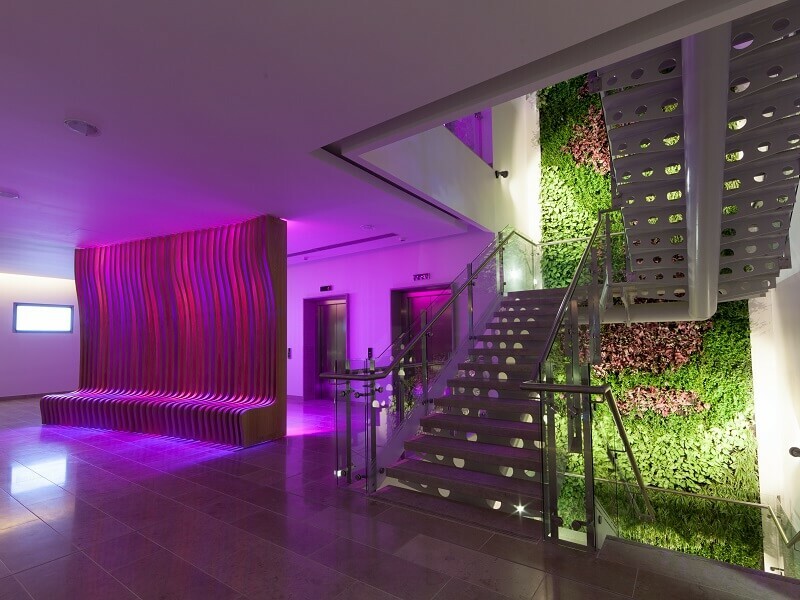 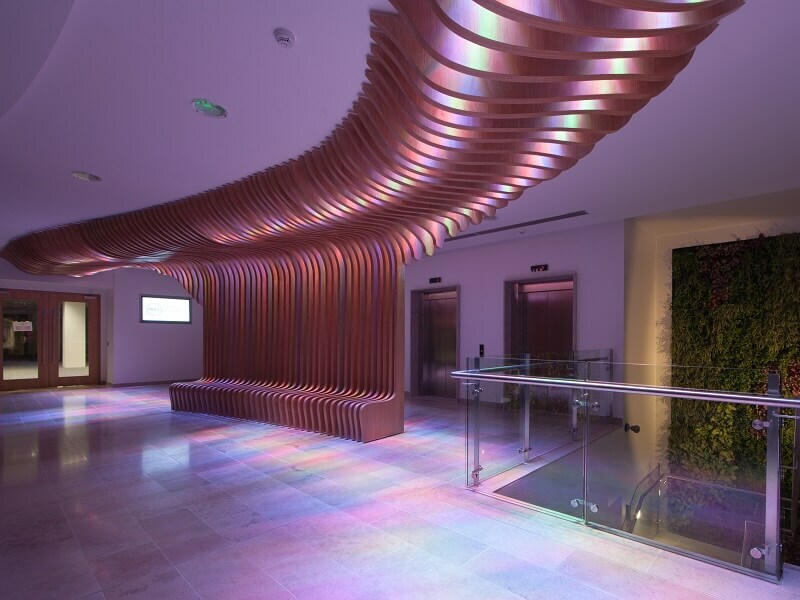 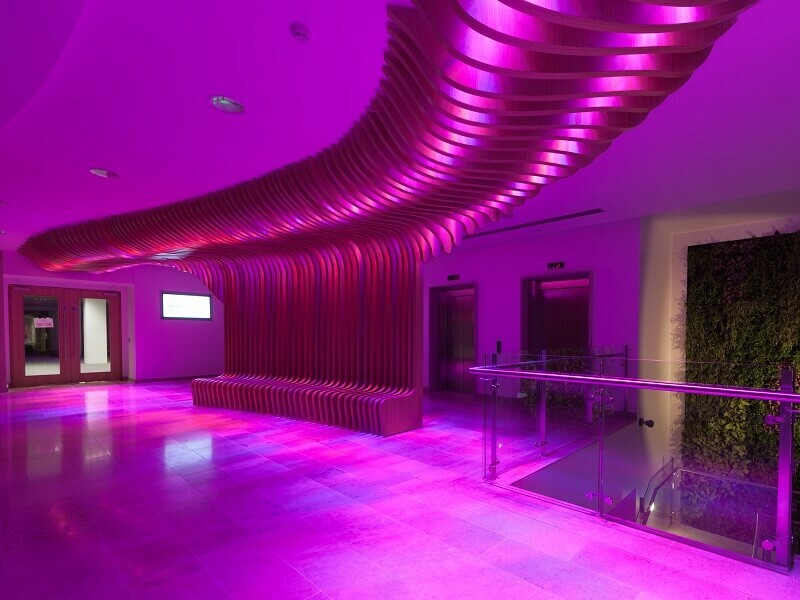 Our eye catching fit-out included a ‘green wall’ and a custom wooden architectural sculpture. 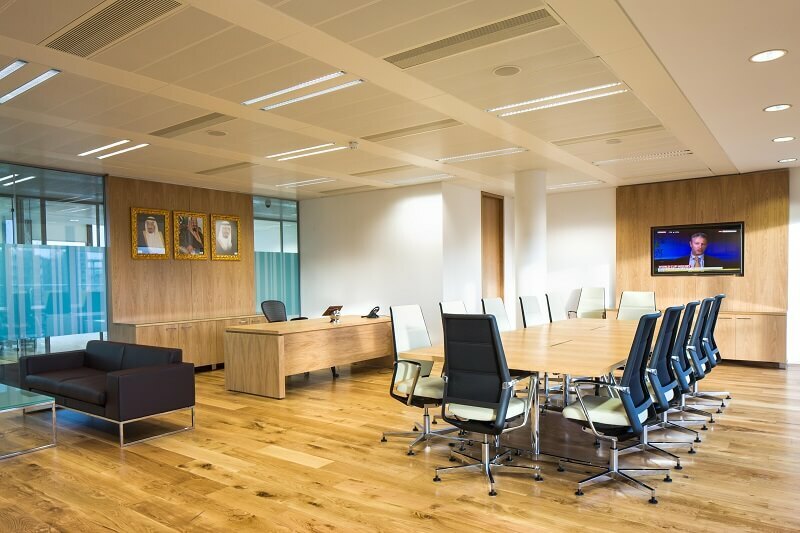 All aspects of the job were project managed by Roccul. 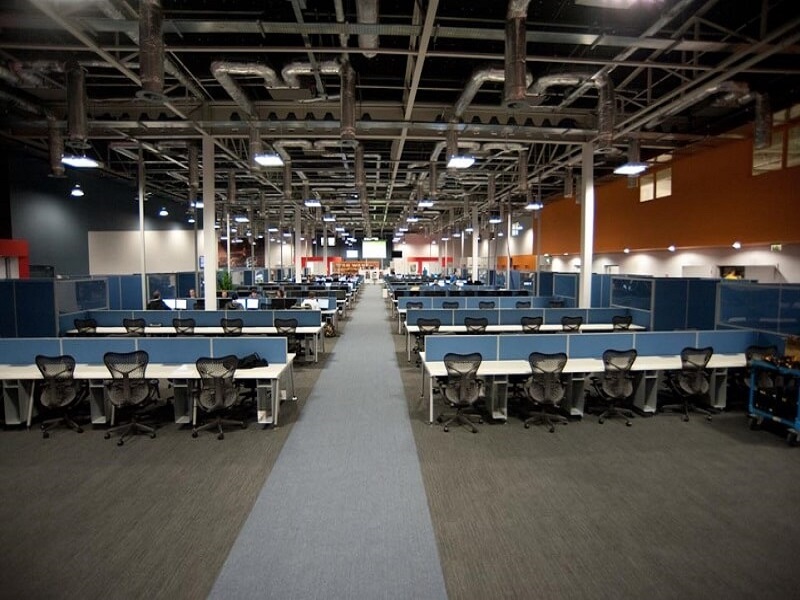 A challenging 70,000 sq ft warehouse with 10,000 sq ft of office space. 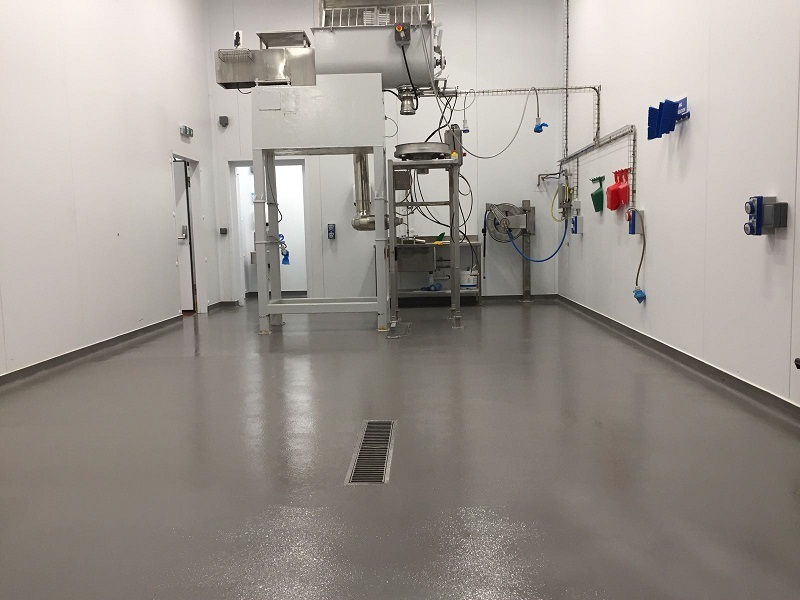 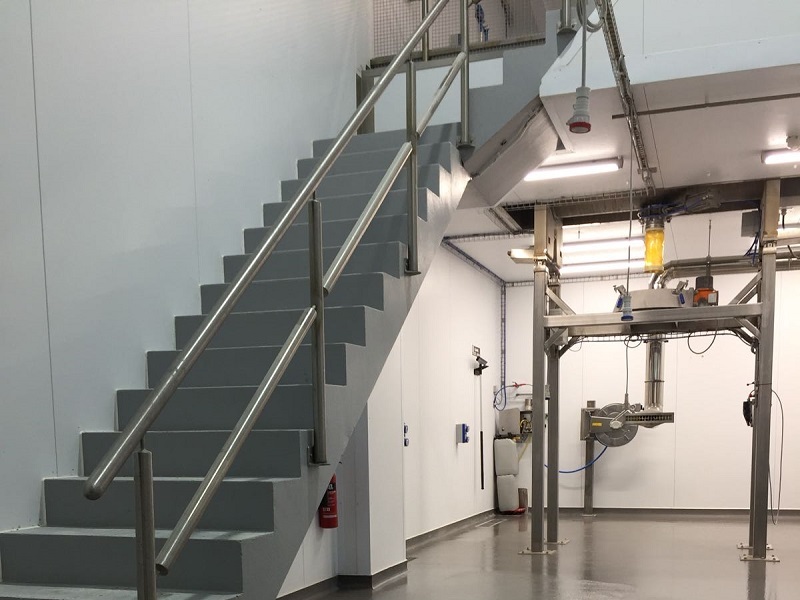 The warehouse space involved the construction of 4No Blending and 4No mixing rooms for a food manufacturer. 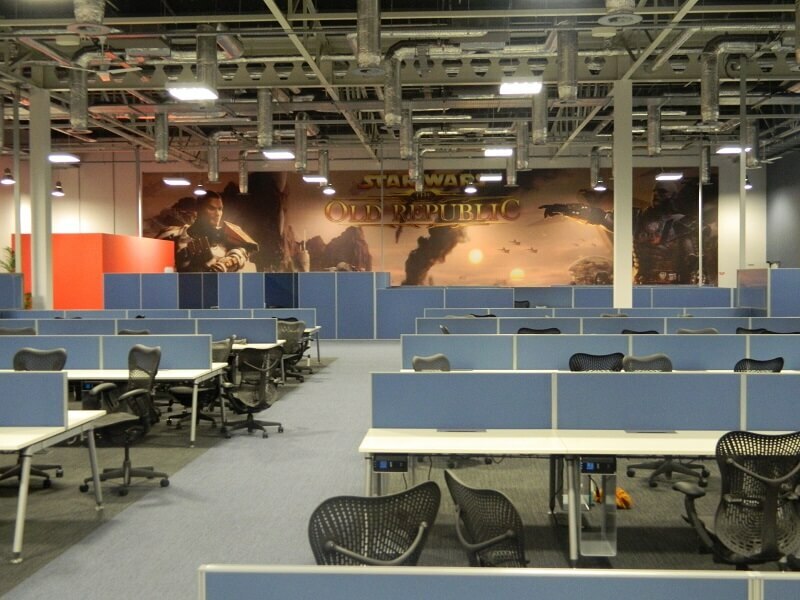 This required a full clean room spec and very detailed M&E. 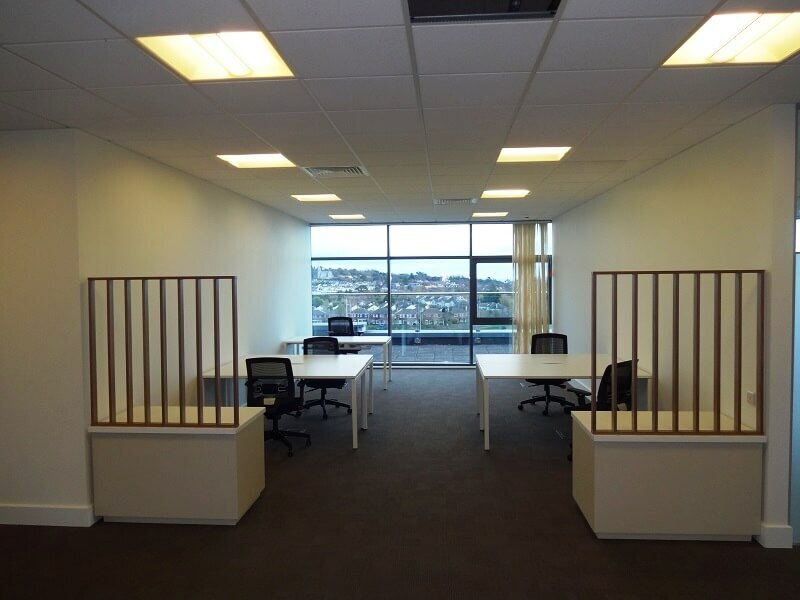 The offices to the front were upgraded to a high quality standard.